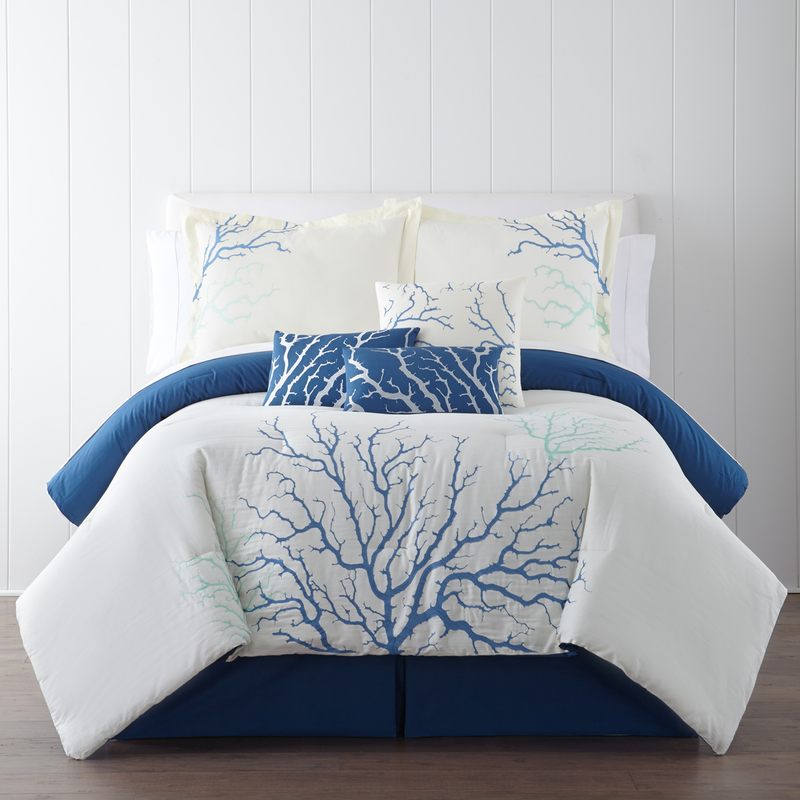 Give your bedroom undersea flair with the Coral Branches 7pc Comforter Set - King, detailed with delicate blue coral on soft white with complementary accent pillows. These Beach comforter sets ship from the manufacturer. Allow 2 weeks. Cannot express ship. For additional items, we invite you to take the occasion to look at our comprehensive collection of beach comforter sets at Bella Coastal Decor today.